There are many different places where you can purchase some of these products. I have tried to simplify your search by suggesting where you can buy almost everything you'll need in two places. I've picked merchants I shop with and believe they have some of the best prices. I'd like to pass that information on to you! 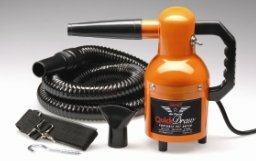 Most of the tools and products listed below can be purchased at Kings Wholesale Pet Supply To order online go to: http://www.kingwholesale.com/ I have provided their product item numbers and prices to help you select the correct item from their website. I've made 2 suggestions for shampoo that can be bought from Kings Wholesale. I don't have a favorite from there as yet. Pin brush ~ #1 All Systems 35 mm pin brush. item #1ASD902, price $14.95 YES, it makes a difference! Local pet stores almost never have the right kind of brushes. Often the pins are too stiff or they have knobs on the tips, or the tips scratch the skin because they are sharp rather than smooth, any of which tear the hair out. I've made 2 suggestions for a blow dryer for the beginner that can be bought from Kings Wholesale. My preference is for a stand dryer because that frees up your hands for the dog rather than having one hand on the dryer and only one left for the dog. (You need one more to hand groom with :) ) I realize that buying a large stand dryer might be more than a companion owner wants, but for the show home, stand dryers are the best, and quiet enough to talk while you dry! Air Force Quick draw pictured. 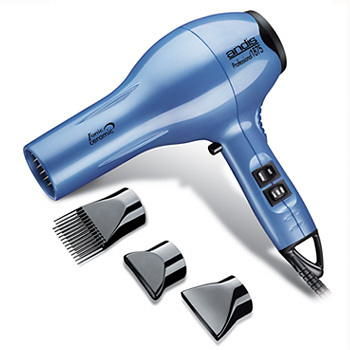 This is am Andis brand, 1875 watt, 4 speed blow dryer, using ionic technology. It also uses even-heat ceramic technology. These are better than the old ( before ionic) blow dryers. Should also be quieter. If you choose this route, be sure to keep it cool or warm. The hotter settings will burn the Pom's tender skin and dry out the hair. This is a very nice bag with pockets inside and out. 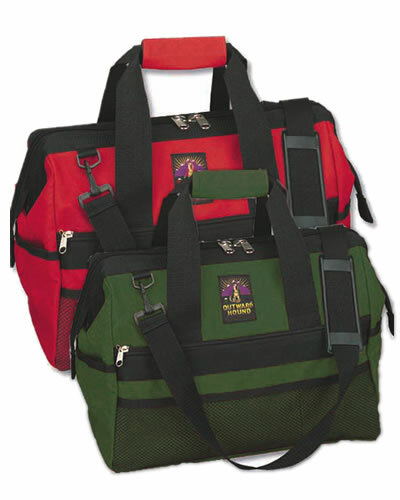 You can fit your spray bottles, brushes, paper towels, and other grooming gear nicely in one of these. This is what I'm currently using. Viva paper towels (these are used to clean the male tummies or the bum area after moistening with the Self Rinse) Wal-mart carries this brand. Note: I will be reviewing this page over the next few days and will add to it as I see a need.